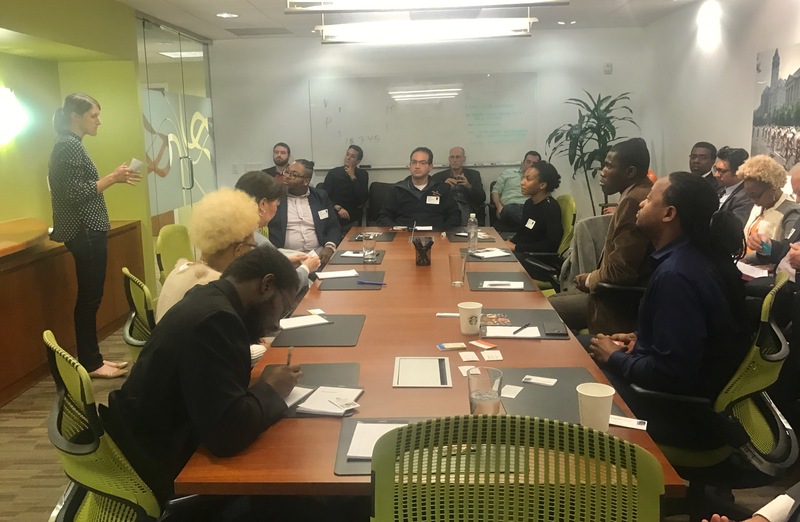 At last week’s World Advisory #SmallBizNetworking event in DC, we were fortunate enough to participate in a group exercise led by Founder of UpSwing Health Coaching Megan Sanchez. Megan had us take a couple of minutes to close our eyes, take deep breaths, and visualize our entrepreneurial success. But it didn’t take long for us to feel relaxed and at ease. Who doesn’t like thinking about their success? She had us dive deep into our visions and think hard about the look, feel, and even sounds and smells surrounding our future selves. It felt VERY good to sit peacefully still in silence, even if momentarily. There is something about discussing business in a board room in downtown DC on a Wednesday evening that is not exactly relaxing! I personally spend countless hours each week doing this sort of visualizing, so it comes more natural to me. Only I don’t necessarily practice it as an exercise, but more of a way of life. There is very little I immerse myself into that I haven’t taken the time to carefully analyze, envision, and develop an execution strategy. Much of what we do throughout life is a product of our thoughts, imaginations, and ability to perceive. So for me, during this time, my thoughts were less focused on a grand vision, but rather on short term goals and productivity. This can be a very serious struggle for me as I can easily get carried away and distracted. We had a good laugh, but the dynamic of the room suddenly shifted. After a couple hours of networking and sharing our businesses, it became personal. Our success, in anything we do, is tied to ourselves emotionally. I’ve noticed this over the years with World Advisory. Whether or not a business succeeds has very little to do with products and services, market conditions, or the bottom line. It comes down to the entrepreneur and how bad they want it and are willing to work for it. In business and in life, if you want to achieve your goals and get where you want to be, you have to prepare yourself emotionally. And it starts with envisioning your success. If you can’t see it, nobody else will.